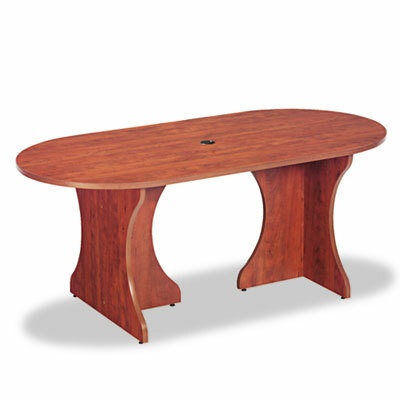 Sturdy, commercial-grade table top will be a welcome addition to your office or conference room. Durable woodgrain laminate is water-, scratch- and dent-resistant and requires little maintenance to keep it looking great. Impact-resistant PVC edging prevents nicks. Efficient racetrack design delivers maximum seating using a minimum amount of floor space. Part of the extensive Valencia Series, it can be combined with a variety of modular components for an office environment that is both stylish and professional. Top and Base sold and shipped separately—ORDER BOTH.